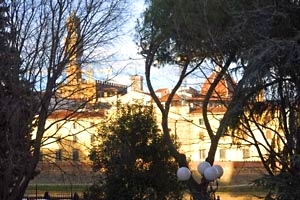 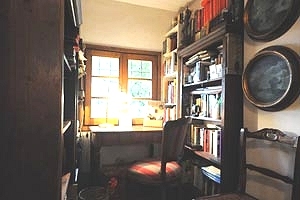 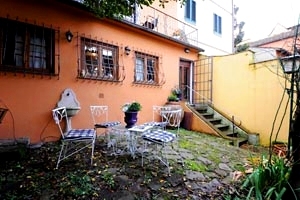 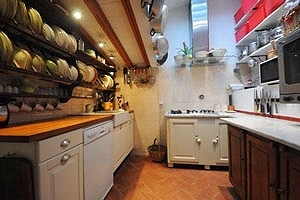 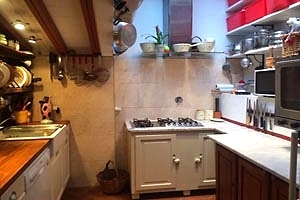 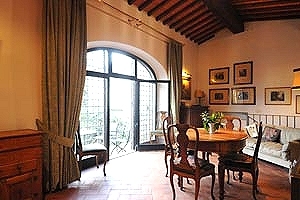 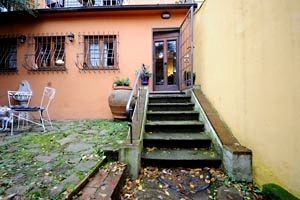 The apartment is located in the district of Florence historic centre called Oltrarno, an area scattered with craft, goldsmith and restorer workshops as well as with restaurants serving the traditional dishes of the Florentine and Tuscan cuisine. 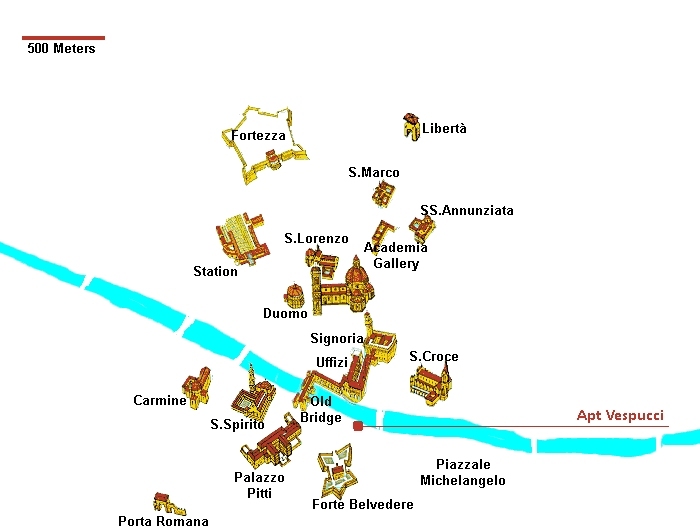 The district is also rich in monuments renowned all over the world, such as the Pitti Palace, Boboli gardens and the churches of Carmine and Santo Spirito. 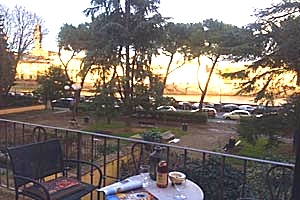 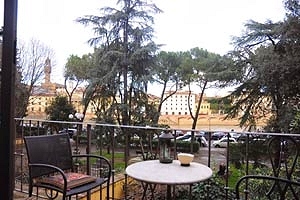 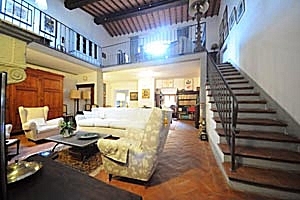 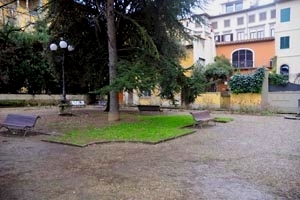 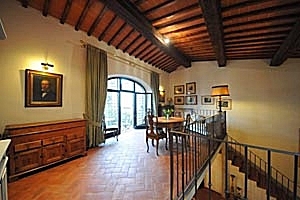 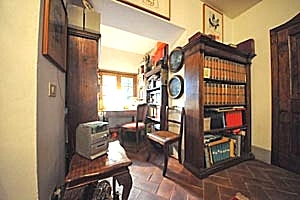 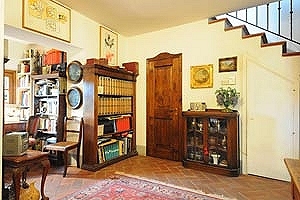 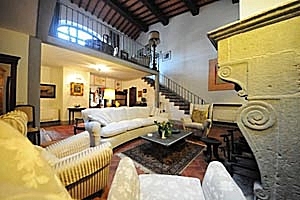 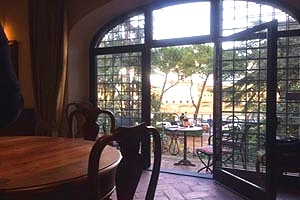 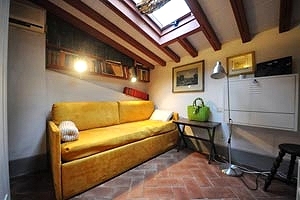 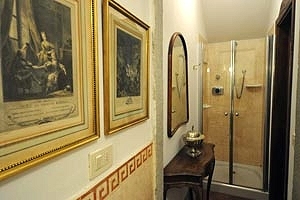 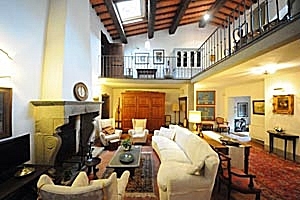 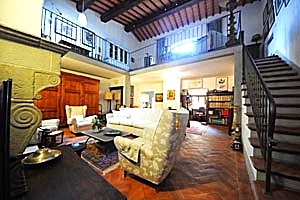 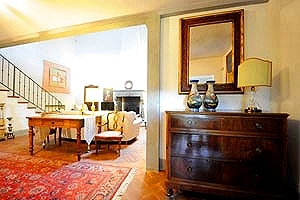 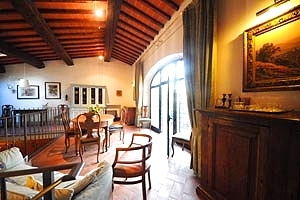 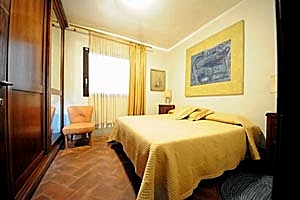 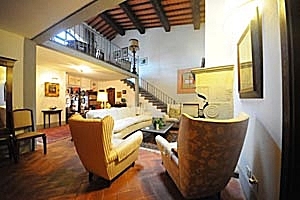 The apartment is located along the Arno River, near Ponte Vecchio and is part of a historic villa. 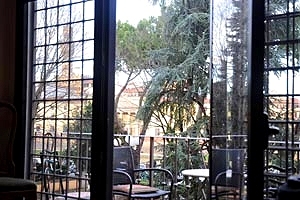 A wide garden furnished with table and chairs for dining outdoor surrounds the building. 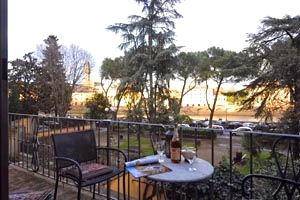 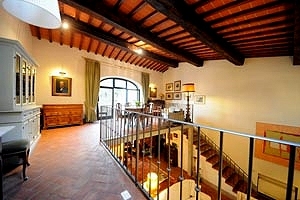 The apartment features also a beautiful panoramic balcony that affords a wonderful view of Giotto's bell tower, Brunelleschi's dome and the tower of Palazzo Vecchio. 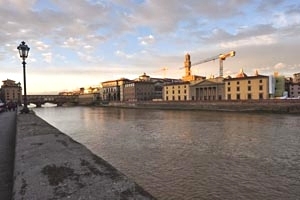 Many of the most famous Florentine monuments - not only the above-mentioned churches of Carmine and Santo Spirito, the Pitti Palace, Boboli gardens and Ponte Vecchio, but also Piazza della Signoria, the Uffizi Gallery, the Duomo and the Baptistery - are easily reached on foot or by bus. 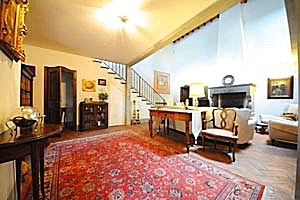 The two-storey apartment can accommodate 4+1 guests in 2 double bedrooms and 1 single sofa bed and has 2 bathrooms. 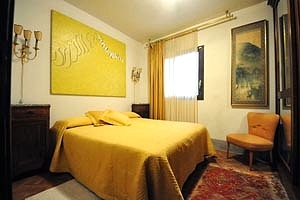 The ground floor composes of a studio, a living room with a single sofa bed, two double bedrooms and a bathroom with shower. 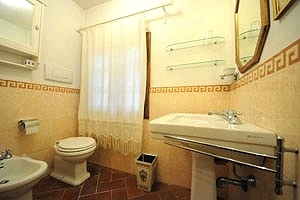 On the first floor are the kitchen, the dining room and a bathroom with shower. 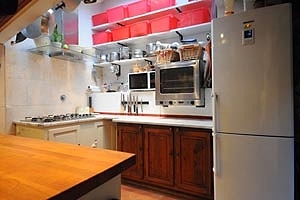 The apartment comes with air conditioning, independent heating system, Internet connection, TV set, microwave oven, electric oven, fridge, freezer, American-style coffee maker, toaster, liquidizer, dishwasher, washing machine, iron and ironing board and cot bed.